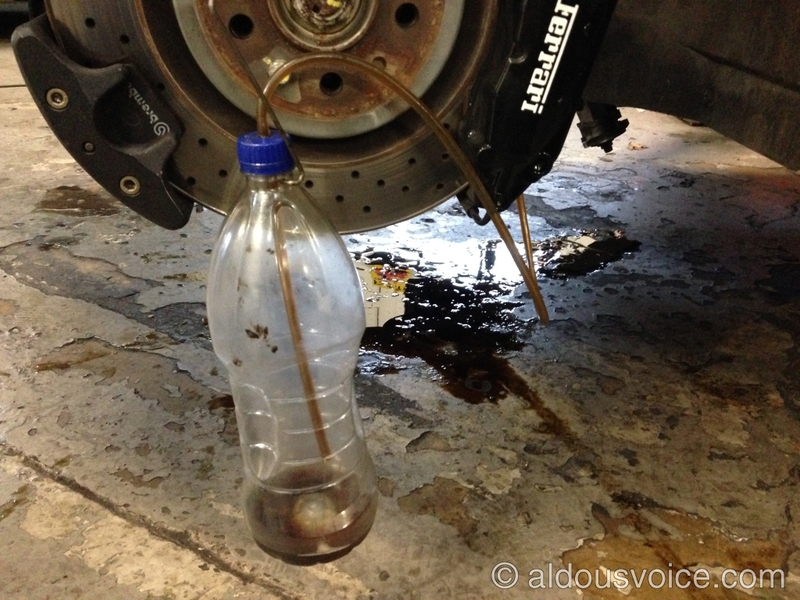 This is a light-hearted look at some of the more unusual things I encounter when working on supercars. I will update the page periodically so please do check back in later! Ferrari and Maserati specify that brake fluid should be changed annually however it is often skipped as it can be time consuming. 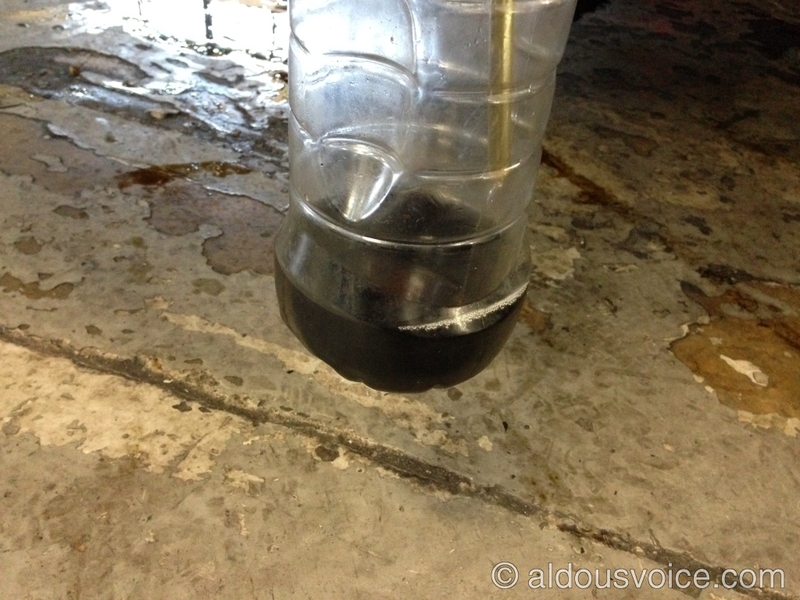 I often see cars with murky looking brake fluid but this one really takes the biscuit – the fluid came out looking like a well known soft drink. The car was a 360 and had, up to this point, a full Ferrari service history. Shame it didn’t include changing the brake fluid. 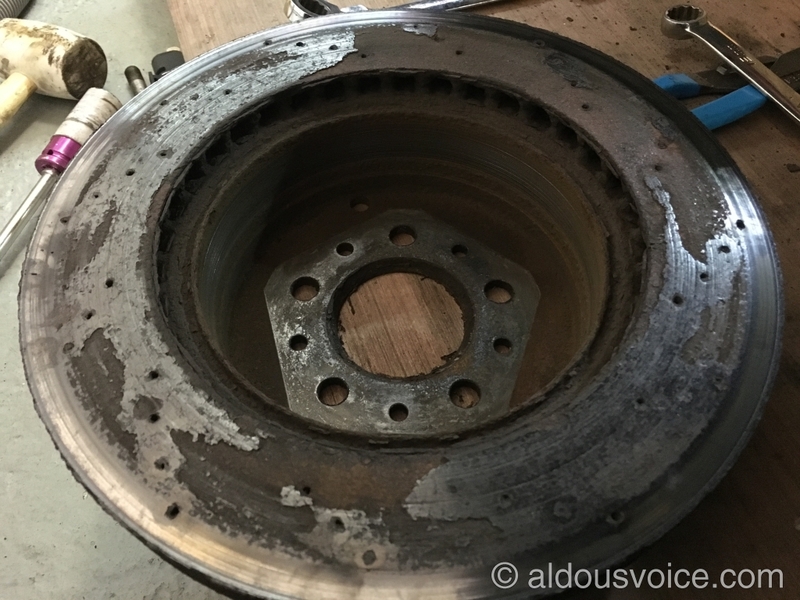 This Maserati was in for a clutch change and it was hard not to notice the poor condition of the brakes. However, the true extent of the carnage was only evident when the discs were removed. 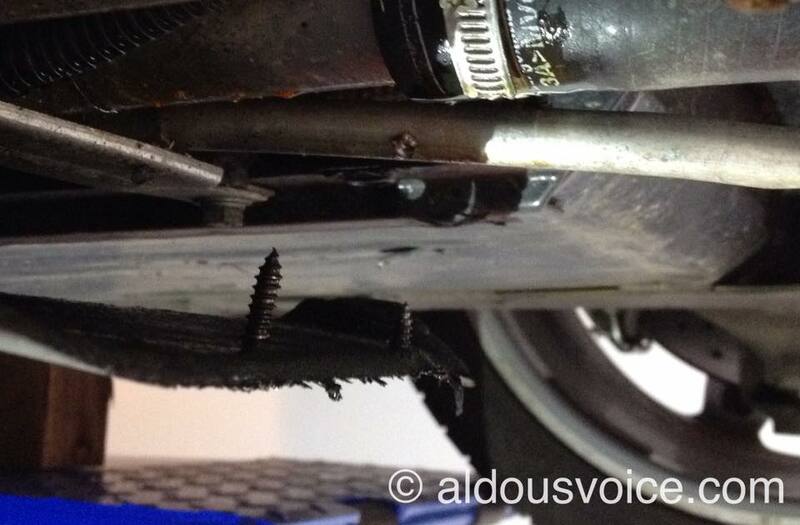 It certainly explained why the owner reported unusual noise under braking! 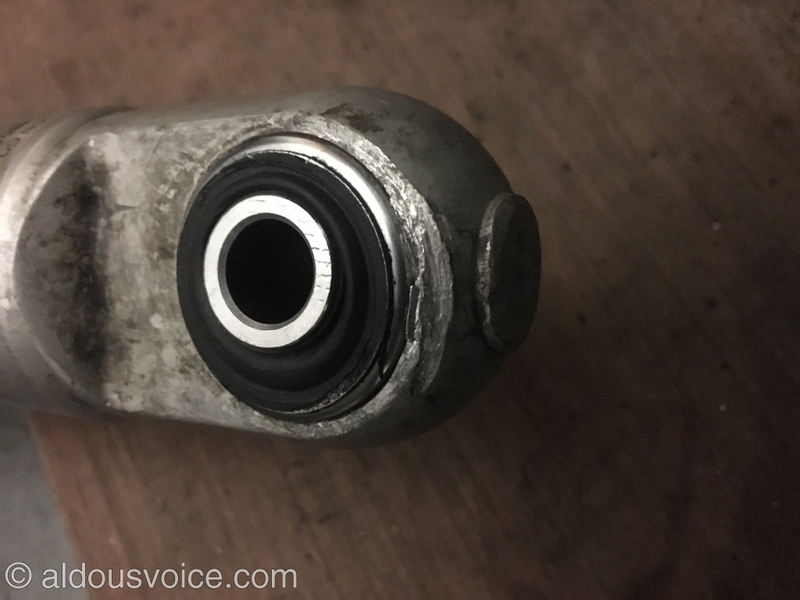 The hydraulic tensioner was fully extended (see below) and the belt had stretched itself loose. This is why there is a three year interval on timing belts! 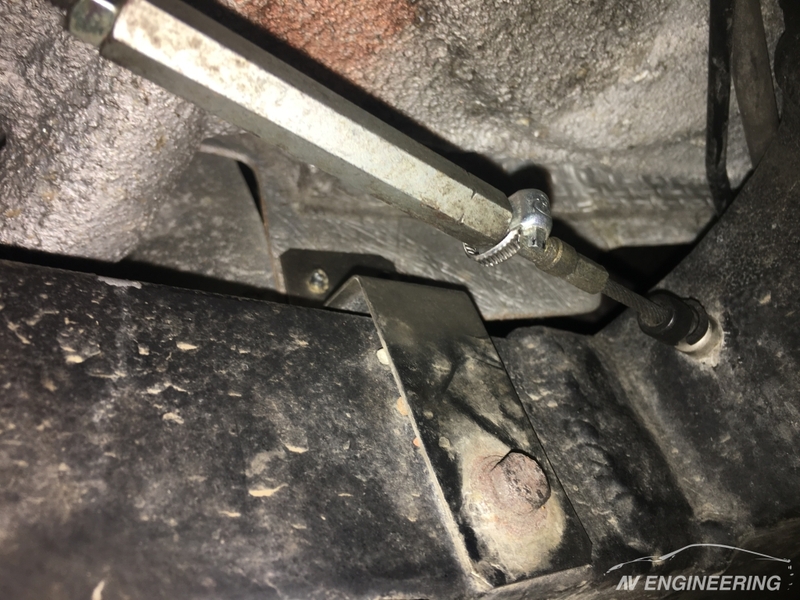 This picture shows the bolt holding the lower end of a F430 shock absorber to the wishbone. 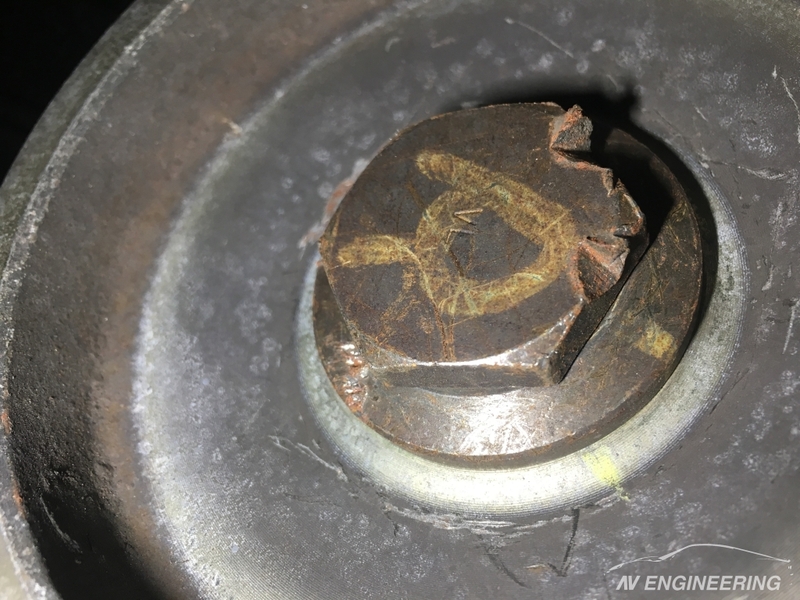 Note that the bolt and the hole are of different dimensions – there is supposed to be a spacer in there to take up the slack but somebody had omitted to fit it, on both sides. 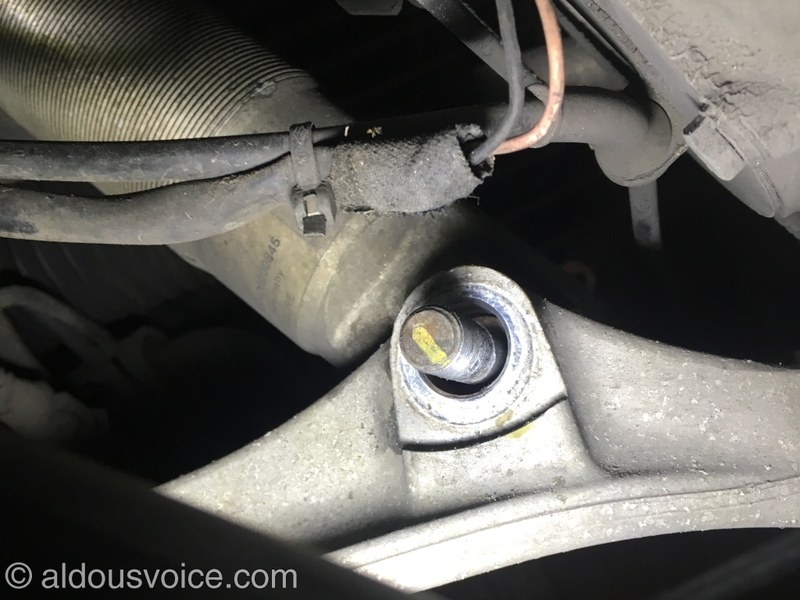 These two pictures show that the shoulder of the shock absorber was actually in contact with the wishbone. 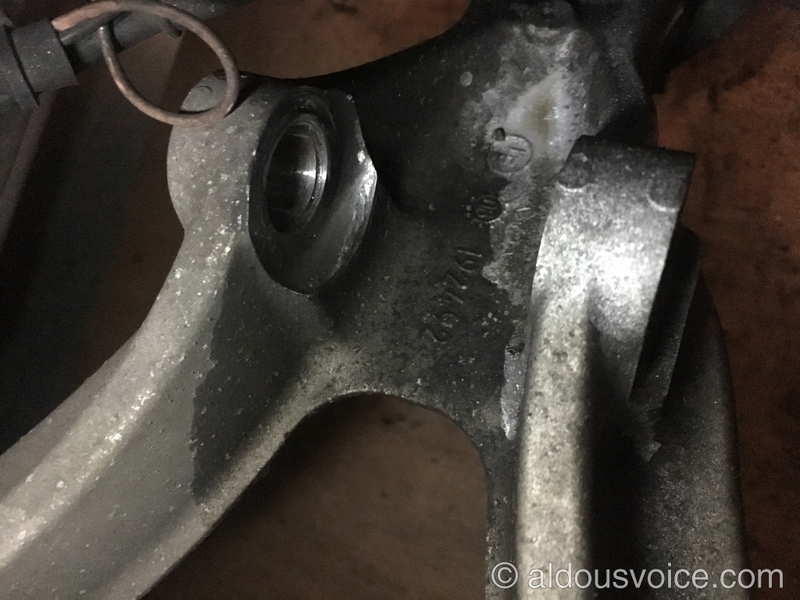 Fortunately the wishbones and shocks were able to be rescued but the additional bill caused by this oversight included new bushes, bolts, nuts and spacers. 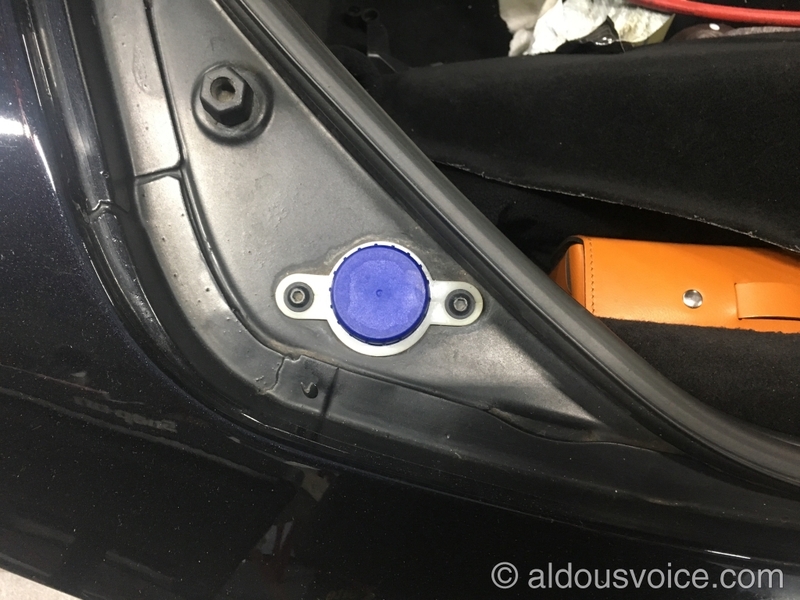 This car also had a full Ferrari service history – it just goes to show that nice coffee and expensive bills don’t guarantee quality workmanship. 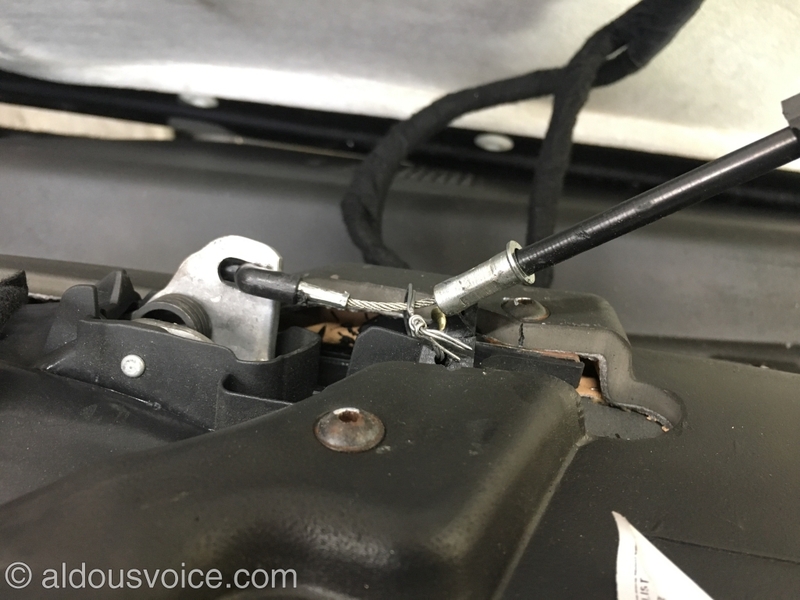 I couldn’t figure out why I couldn’t get my hex bit into this 360 transaxle fill plug/dipstick until I caught sight of the head. 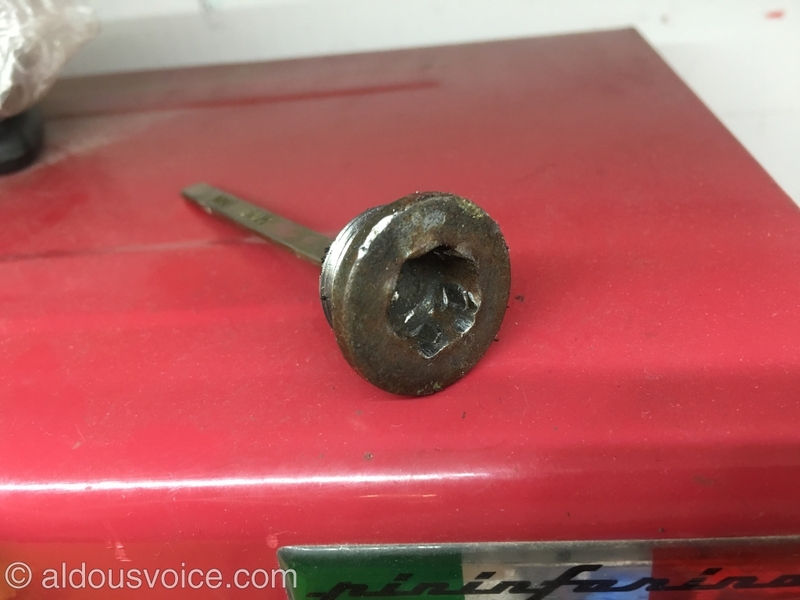 Two failures here – firstly to round the fastener off and secondly to refit it. 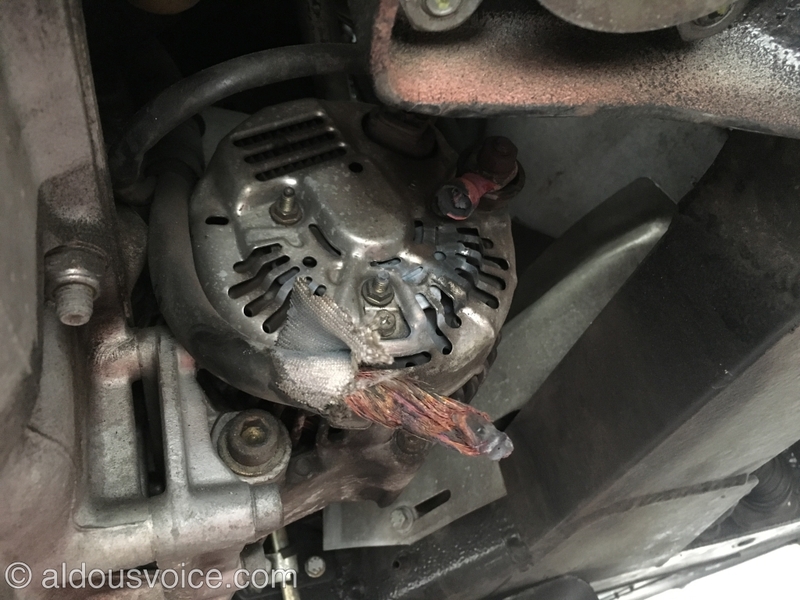 This 360 came in on a trailer after the owner noted that the alternator warning light was on but continued to drive the car, until the battery ran down to zero. The main cable had been previously repaired but the crimp wasn’t a good enough contact. This burnt out the wire until it broke free. 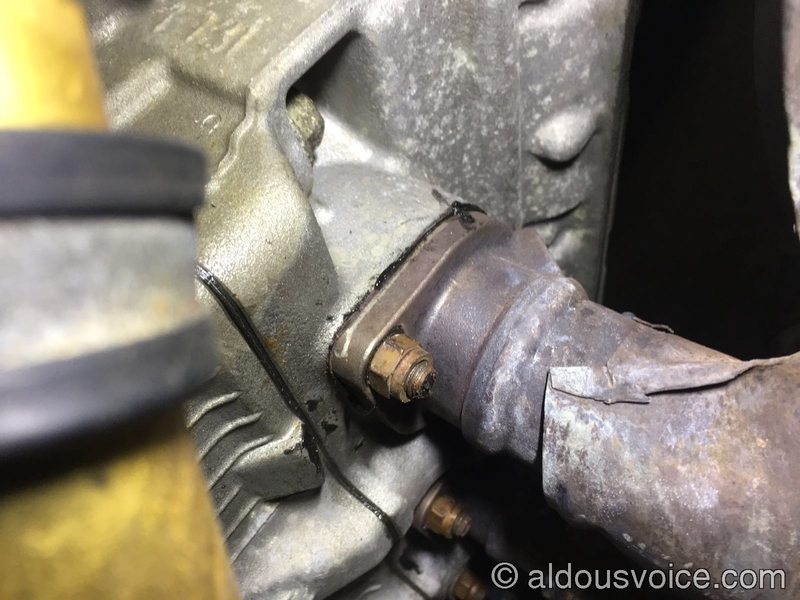 If the cable had touched the alternator housing or the chassis there would have been a fire. As part of any service I always wash the inside of the wheels. 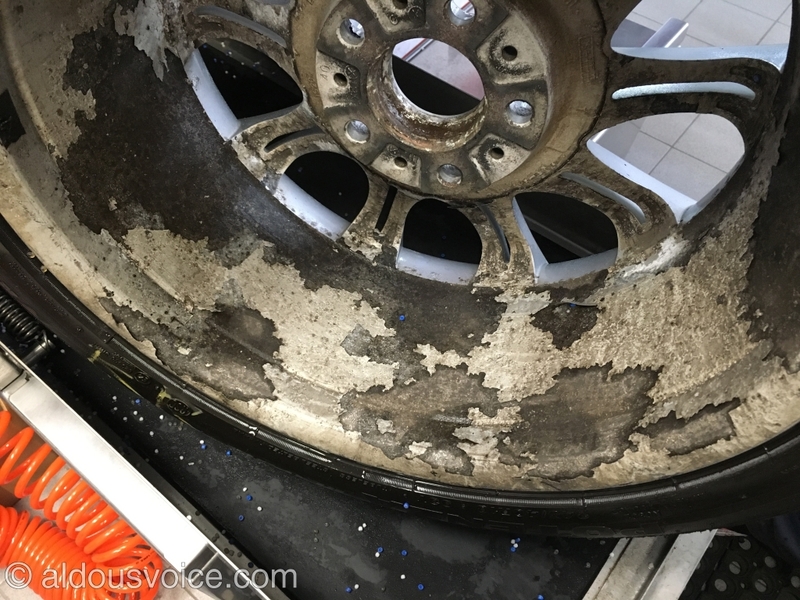 I kind of wish I hadn’t bothered in this case as the dirt was hiding what was probably the worst condition alloy wheel I have ever seen. 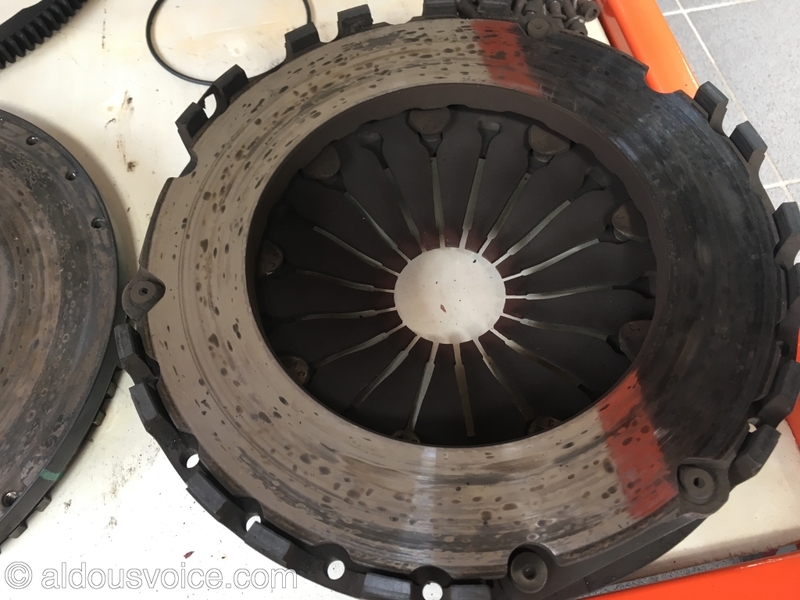 These pictures show the importance of properly checking that a flywheel is within specification before declaring it suitable for use with a new clutch. 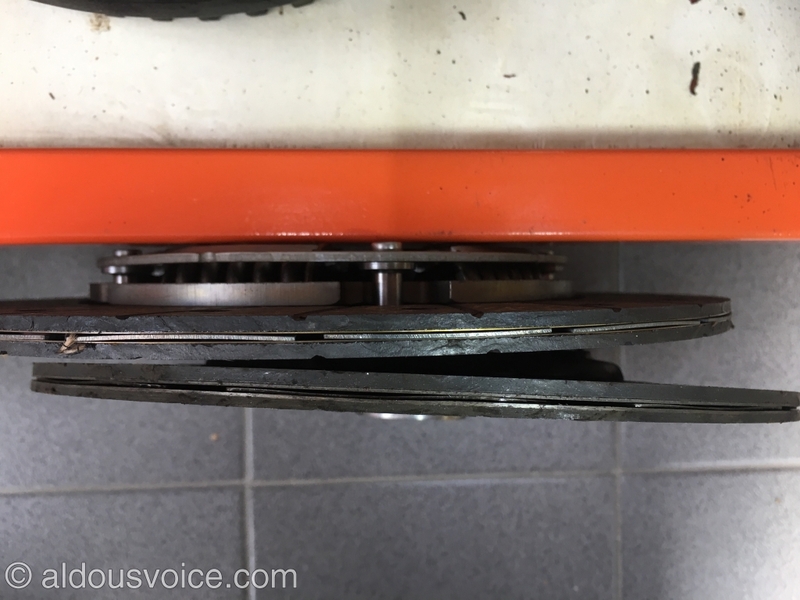 When a flywheel is used with an overheating clutch it warps – here you can see that the contact surface has three distinct rings – a darkish one in the centre, a shiny one in the middle and a very dark one at the outer edge. 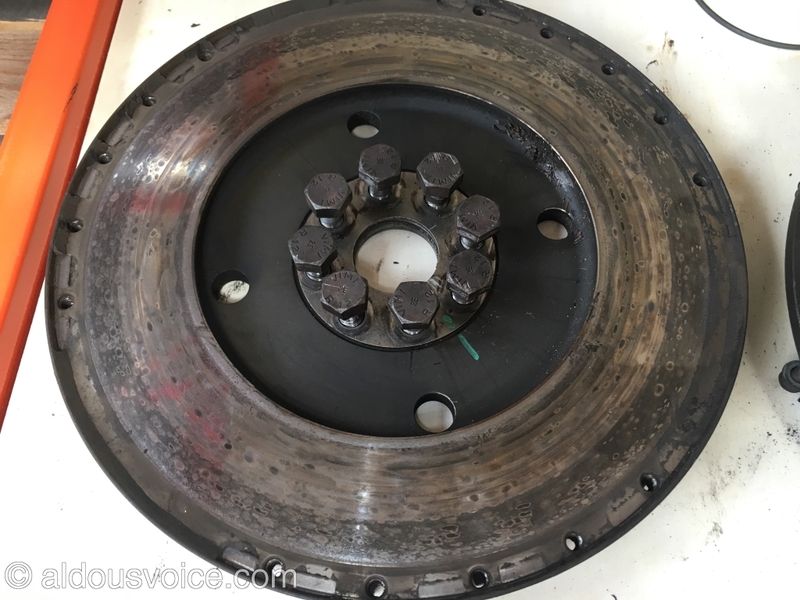 This picture of the clutch disc shows that most of the contact is occurring right at the centre. This shrinks the contact patch and increases temperatures – which in turn increases wear. 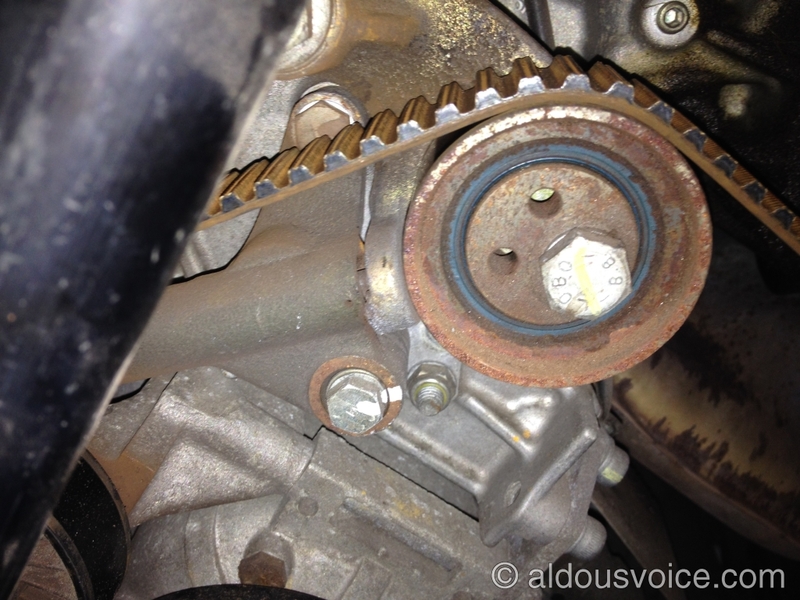 Here is the edge of the clutch next to a brand new unit. 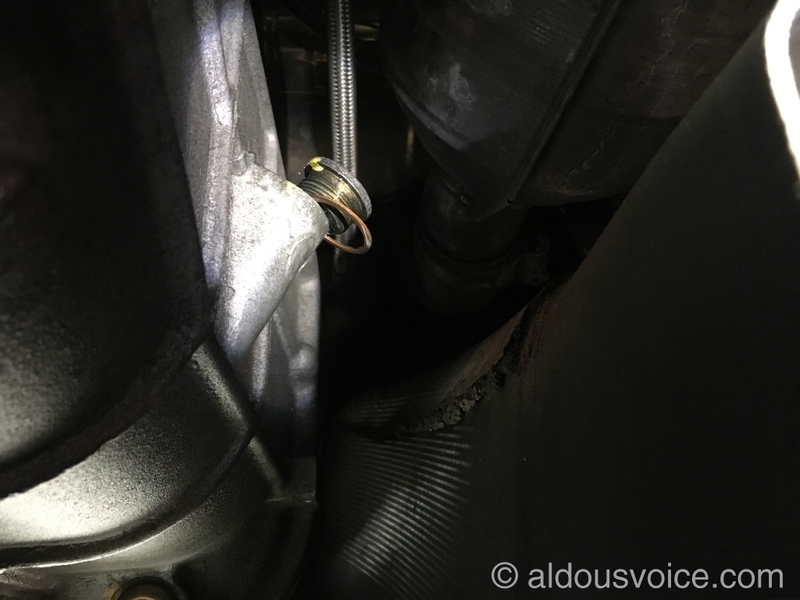 It should be noted that the clutch was installed less than 5,000 miles previously. 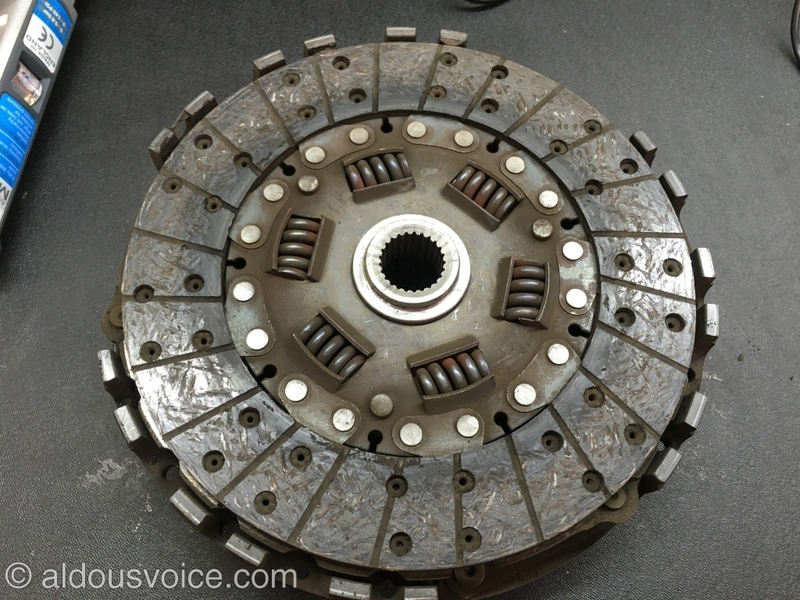 It is clear to see the rapid wear of the side of the clutch facing the flywheel. For completeness here’s a photo of the pressure plate, which has also been ruined by the elevated temperatures. This 360 came in for an MOT. I decided to remove the undertray to try and work out the source of the large quantity of oil that was making a break for freedom. 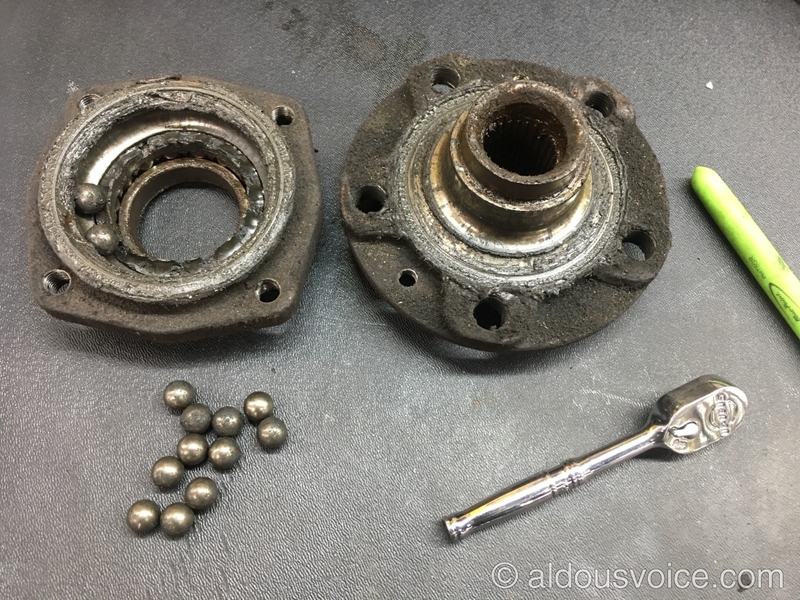 It didn’t take long to make the diagnosis – someone had neglected to secure the gearbox fill plug, allowing the oil to pour out. 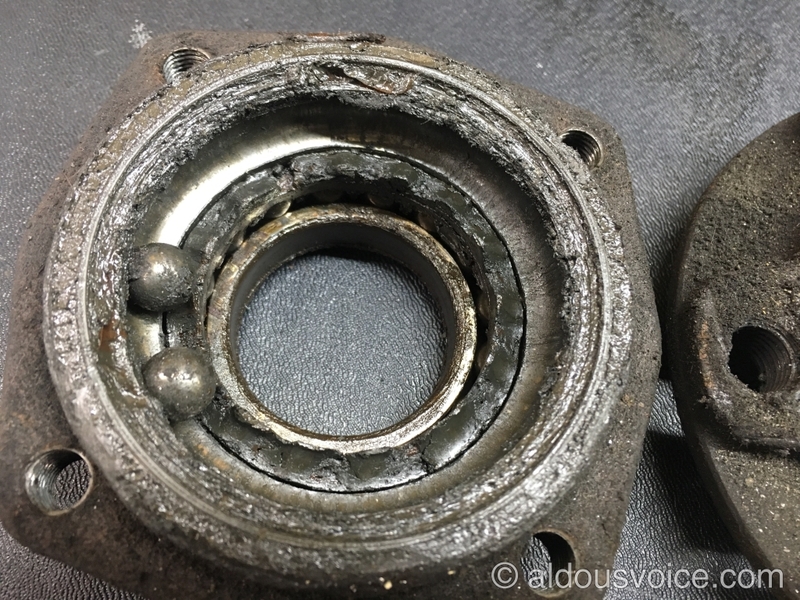 The car had been treated to a major service (elsewhere) a few weeks previously so the oil was just below the minimum and no harm was done but if this hadn’t been spotted the gearbox would have lunched itself in very short order. 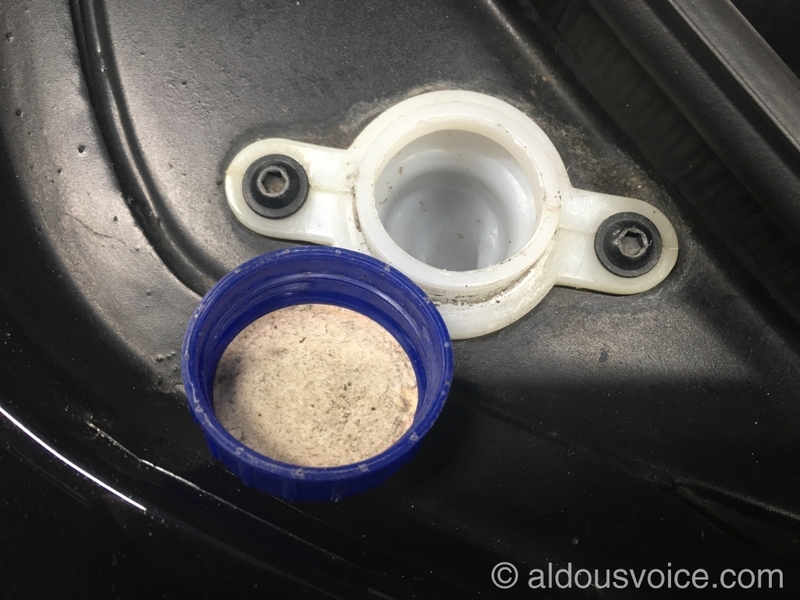 This bodge even fooled me at first glance – someone had used a top from a 5 litre container in place of the proper cap for the windscreen washer fluid. A lovely touch that saved less than a fiver! This 360 was serviced at a very well known main dealer prior to being brought to me for work. The undertray had two non-standard screws holding it in place, thoughtfully one was screwed into an air conditioning pipe. Somehow the screw had punctured the pipe and sealed itself in. Until I undid it and got showered in R134A. I couldn’t figure out why my socket wouldn’t fit on this 360 crank pulley bolt until I moved my light to reveal this horror. Someone had used a chisel to remove it the past and completely ruined it. 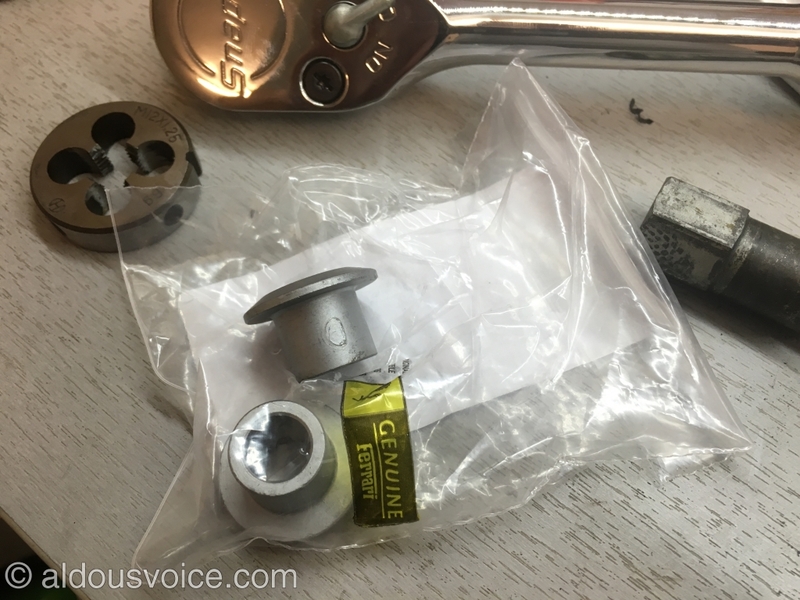 I was concerned that I’d have difficulty getting a tool on it to get it off (after all it is supposed to be done up with threadlock to 196Nm) but needn’t have worried – it was a little more than finger tight!